Amazing 51' X 180' Mature Lot! 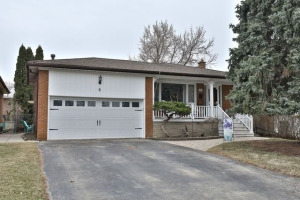 Desirable Village Of Streetsville Location! Great Opportunity To Renovate Or Rebuild Your Multi-Million Dollar Dream Home! Many New Builds And Renovated Homes On This Street! Separate Side Entrance To Home. Steps To Credit River & Trails. Walk To Go Train And Local Shopping.